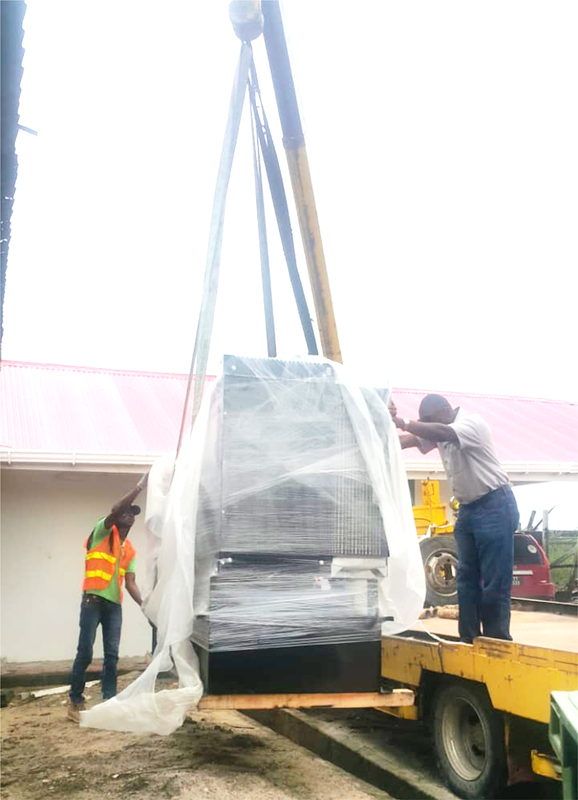 The recent installation of a new standby generator at the Oscar Joseph Hospital, Charity, is expected to boost health care services in Region Two [Pomeroon/Supenaam]. The new 225 Kva generator, which was procured and installed by MACORP for some $11.3 million has now replaced the 40 Kva generator after its installation during the latter part of last month. The Oscar Joseph Hospital is located in Charity. It caters for most residents of the Pomeroon and the northern part of the Essequibo Coast. With more collaboration between Region Two and the Barima Waini Region [Region One], the Oscar Joseph Hospital also caters for high risk patients coming from Moruca. Kaieteur News understands that the previously installed generator was incapable of supplying the hospital with sufficient power to run all equipment. The x-ray machine was always down during a blackout, since it requires a significant amount of power to operate. The new generator on the other hand is believed to have the potential to power the entire hospital.